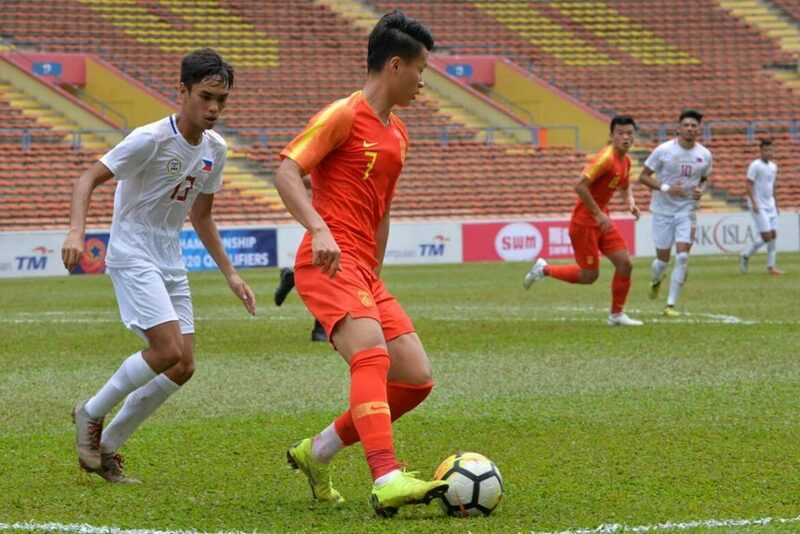 The Philippine men’s national U-23 football team suffered a harrowing 8-0 defeat at the hands of the People’s Republic of China in the 2020 AFC U-23 Championship qualifier on Sunday at Shah Alam Stadium in Selangor, Malaysia. The Chinese immediately imposed its dominance on the Filipinos as Europe-based player Shan Huanhuan kicked off the scoring in the 10th minute with a close range conversion. Hu Jinghang followed up Huanhuan’s opener four minutes later before Huang Cong and Lin Lianming increased China’s lead to 4-0 with hits in the 19th and 29th minutes respectively. Just before the halftime break, Jinghang notched a brace for a 5-0 advantage before adding another one four minutes into the second half on a connection from Zhang Yuning. Huanhuan scored once again at the 77th minute to also finish the match with two goals before Yuning completed the goal spree for the Chinese with his conversion at the 90th minute.